Fashion is a constant evolution with trends forever adapting to current times. Malaysian fashion is not exempted from this as our homegrown designers have grown beyond the norm and made their mark not only on local runways but internationally as well. From the streets of Paris to the catwalks of New York, Malaysian designers have had the honor of creating clothing that have been worn by Hollywood stars, members of royalty as well as heads of states. Names such as Jimmy Choo and Bernard Chandran have had the privilege of seeing influential people such as Michelle Obama and Lady GaGa don their creations at monumental events. But their designs aren’t all geared for the international crowd. Here are a few of our fashion designers who have made their designs known not only in the local market but internationally as well. Started by Datuk Lewré Lew, his collection of Malaysian footwear range from simple classic heels to more edgy avant garde pumps. But what they all have in common is his signature style of elegance. Datuk Lewré’s shoes have gain enough publicity for him to have had the honour of gifting a pair of his shoes to the Duchess of Cambridge, Kate Middleton, when she and her husband visited Malaysia a while back. Currently, Lewré has over 90 stores worldwide, including major stores in the Klang Valley region. Coming from the state of Negeri Sembilan, Afiq Mohamed made heads turn during his debut fashion label, AfiqM, back in 2011 when he was still a student. Carrying a vision of having easy everyday wear pieces for women with a sense of sass and simplicity was his motive and Afiq worked hard to make it a reality. His pieces have made it to many major runways in Malaysia and Singapore. Besides working on his own brand, he has also been an active participant in various fashion shows, including Modesty in Style by YODA 2011, Who’s Next YODA 2011, and Malaysia International Fashion Week 2011 to 2014. He was named the winner of reality TV show called ‘PESONA’ and was also one of Elle Magazine’s brightest stars for Kuala Lumpur Fashion Week 2015. Anyone who may be a fan of intricate yet eye-catching dresses would be very familiar with the name Jovian Mandagie. After gaining recognition for his pieces and launching several stores across Kuala Lumpur, his sense of fashion by mixing local flavours into his trendy designs has made him a favourite of many fashion enthusiasts. He is now looking to expand his collection to neighbouring countries as many have mentioned they have interest in his keen eye for elegant dresses. Farah Khan is known for her bright, funky and modern, ready-to-wear designs that are meant for sophisticated women on the go. Her skills create the type of outfits that can fit effortlessly into your suitcase for you to wear later with no fuss. Her sense of style is chic and stylish where you could wear them for parties and even big events such as weddings. What is unique about her is how each of her design is named after a famous person, so a dress from her could have been inspired by big celebrity names such as Anna Kournikova, Kimora Lee Simmons, Maria Sharapova, Paris Hilton and Rashida Jones who all have been spotted wearing her outfits to major events. A Malaysian designer known for her style of mixing modern and vintage along with the rich culture of our own country, Melinda Looi is an award-winning designer that specialises in bringing unique outfits with their own spark. Featuring lots of bohemian flair, Melinda Looi clothes are great for those who want that romantic yet individualistic look. Using a soft colour palette, plenty of intricate embellishments and flowing fabrics, the styles are vintage and romantic. Her outfits have been worn by many socialites, royalty members and even Hollywood celebrities such as Britney Spears, Cameron Diaz and Mena Suvari. Joe Chia made a name for himself after graduating from Raffles College of Higher Education KL and has come a very long way over the last few years. His signature styles consist of monochromatic colours where he disregards the seasonal trends. His keen sense of fashion has brought his creations all across the globe and his works have been featured in magazines and runways in Asia as well as Europe. An artist with a unique style with her creations. Man Chien is a Malaysia-based wearable art maker that is known for creating hand-painted garments. Taking inspiration from her own experiences as well as philosophies she learned from her designing journey, she incorporates them into her clothing line to give them that different edge which make her a cult favourite. Her works have been seen in the streets of Singapore where she hopes to expand her line further. Dexter Wong is highly talented in creating menswear that fuse crisp cuts and vivid colours eloquently. He manages to combine the styles of more elaborate designers and mainstream trends to bring creations that can seem a bit ‘loud’. His creations have been worn by the likes of David Bowie and Robbie Williams. 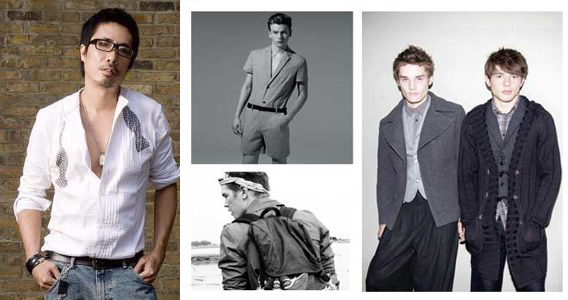 His collections have also been featured in various Topman outlets across the globe. After graduating from Fashion Institute of Technology in New York, Pearly Wong ventured back to her homeland to launch her eponymous label in 2012. 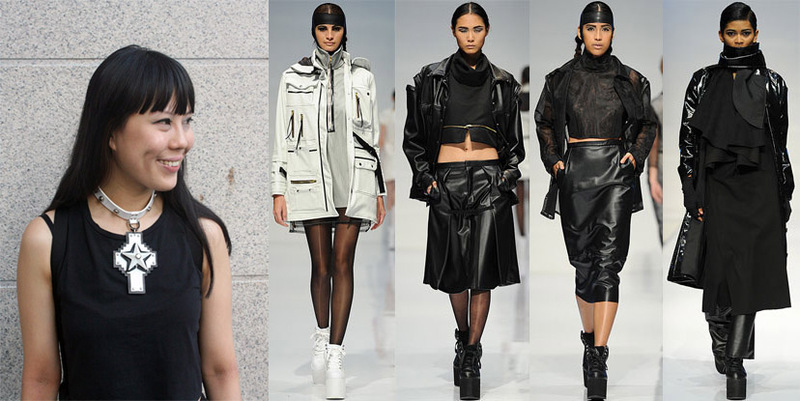 Her clothing collections consist of a more androgynous style that uses a lot of black leather and mesh fabric with harnesses, zippers and hooks are added for detail. Her works have been seen in New York as well as various runways throughout Southeast Asia. Khoon Hooi has mentioned how he started his career by going to Paris for a holiday and taking that opportunity to showcase his designs to various names in the industry there. His hard work paid off when in 2006, he was one of three designers, and the only Malaysian designer, chosen by an agent to be represented in the US while showing at the Singapore Fashion Week. His creations are known to be luxurious with an edge. He has earned a reputation for creating luxury ready-to-wear with an edge and he has won several awards in the industry including the Malaysia International Fashion Awards (MIFA)—Logwin Industrial Excellence Awards in 2011.